All songs by Donovan P. Leitch, except 02 traditional arranged by Donovan P. Leitch, 03 by Jane Bowers, 06 by Buffy Sainte-Marie, 07 by Shawn Phillips and 09 by Mick Softley. 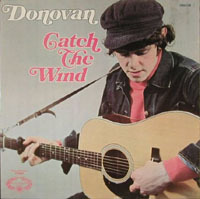 · By 1971, Hallmark Records obtained the rights to Donovan's Pye recordings. Hallmark issued this compilation the same year. There was a compilation already on the market, published by Pye subsidiary Golden Hour Records, with the name Golden Hour Of Donovan in the UK within the same year. The following year, Hallmark realeased another compilation titled Colours. · The Little Tin Soldier is listed as Little Tin Soldier. · Goldwatch Blues is listed as Gold Watch Blues. · Ballad Of A Crystal Man is listed as The Ballad Of A Crystal Man.